The July 27th public transport network changes are pretty big. Some of the information is a bit vague, so here are some points I’ve gleaned from looking around, as well as chatting to Transdev, who run a lot of the bus routes that are changing. The big thing in rail is V/Line trains from Ballarat and Bendigo will start using the new Regional Rail Link tracks from Sunshine into the City. This will mean they no longer stop at North Melbourne, because unfortunately RRL has no platforms there. You’d expect the new dedicated tracks would help running times, but that doesn’t seem to be universal. For instance the 8:13 arrival from Bendigo took 12 minutes from Footscray into Southern Cross in the old timetable; the new one has it taking 17. The 8:25 arrival from Ballarat took 22 minutes from Sunshine in the old timetable; the new one has it at 21 minutes. In many cases V/Line trains take substantially longer than comparable Metro trains. It’s quite possible the V/Line timetables include some padding to allow for delays (though they still consistently miss their punctuality targets). And the RRL project isn’t actually finished yet, so there might be improvements when it is. 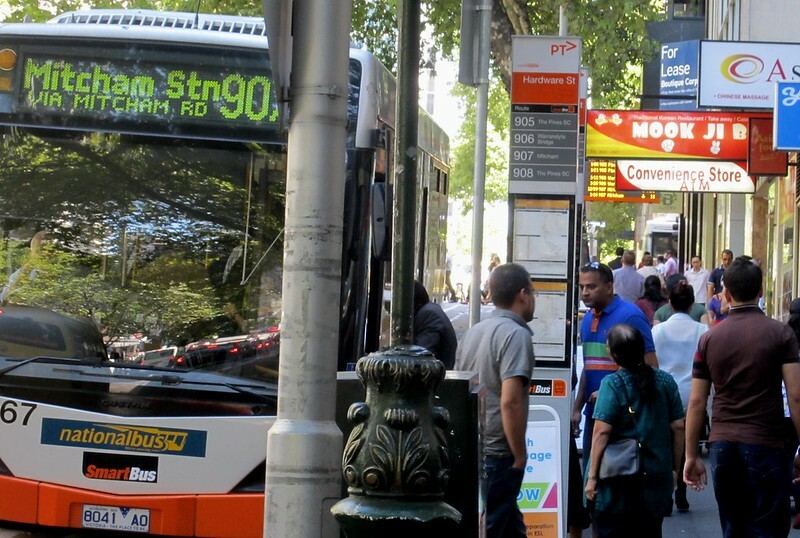 Where V/Line timetables have changed, their connecting buses have got modified timetables — same for those metropolitan bus timetables which provide timed connections to Metro trains. This is why all the changes are coming on one date. The Dandenong line is going to every 10 minutes on weekdays, which is very welcome given the number of passengers and destinations along the line. Most trains will no longer stop at Malvern, matching the weekend pattern. Curiously they recently put in realtime information on platform 3 there — which will barely get used. It really should have gone onto platform 1. This also means the Cranbourne and Pakenham ends of the lines go to every 20 minutes — much better than the current half-hourly service. Another big change is that peak Pakenham trains will now stop between Oakleigh and Caulfield where currently they run express. It won’t make much difference to running times as the line is so congested anyway. On the up side people at those stations will have more trains… but possibly it’ll result in more crowding on those services, which are often pretty packed. The Frankston line gets a few changes, including — at last — removal of the incredibly confusing afternoon peak-shoulder timetable which currently has three completely different running patterns. Morning Frankston line trains are also altered, with the two-tier timetable extended to until the off-peak timetable kicks-in. The anomalous 8:35 limited express from Bentleigh into the City no longer stops there, but there’s an additional service originating at Moorabbin to make up for it — which should mean overall more seats available for passengers at the zone 1 stations, as well as a faster ride for those coming in from zone 2. It’d have been nice to see some other upgrades come through — more lines are richly deserving of ten minute services, for instance. Route 112 is being split back to similar to how it used to be: the 11 from West Preston into the City (and Docklands), and the 12 from St Kilda into the City and then out to Victoria Gardens. 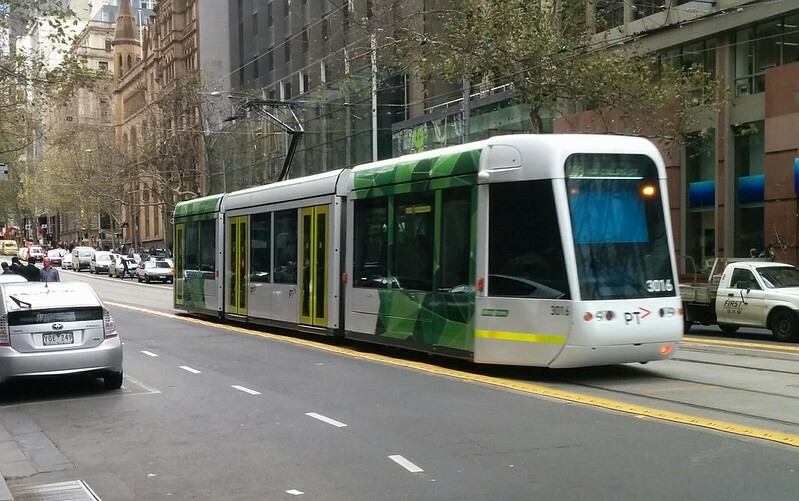 This should allow them to run the bigger trams on busy route 11 (including adding space on incredibly busy Collins St/Docklands routes), without wasting that capacity on quieter route 12. Some part-time city routes such as 24, 31 and 95 won’t run anymore. Other fulltime routes cover that ground. Likewise, the long-running part-time route 79 will no longer run, replaced in the evenings and weekends by its weekday cousin 78… which will mean people heading from Chapel Street to St Kilda Beach will need to change at Carlisle Street onto a 16 (or, on weekends, a 3a). Lots of changes on the buses in the Manningham area, particularly those run by Transdev, whose contract stipulates they need to re-design their routes and increase patronage — but without increasing resources. In other words, badly-needed route reform. DART/Smartbus 908 will no longer go all the way into the city outside peak hours. It’ll terminate at Doncaster Park+Ride instead, with connections into the City. This should be okay inbound, and outbound on weekdays during the day, when the services you’re connecting to will be frequent. There might be some waiting involved outbound on weekends and evenings. This one is controversial: route 303, which runs 4 services per day in each peak direction, is getting cut. In general the theme is one of removing duplication, particularly part-time routes, and consolidating services by bumping up frequencies to compensate. For instance routes 200, 203 and 205 have been combined into a single route 200, which should be less confusing. In many cases another similar route isn’t too far away from a removed one. It does mean some trips that were a single seat ride all the way will require changing to another bus or a train, but the pay-off is a more cohesive network that provides options for more journeys, and in some cases overall a faster trip. So, as is almost inevitable with route reform, some inconvenience to some, but overall should result in a more legible, simple, usable network… which in other areas has been shown to pay off in terms of getting new passengers on-board. The 401 North Melbourne to Melbourne University shuttle gets extended to 10pm, with services every 10 minutes after 7:30pm. Excellent. Local bus routes around the airport get a shakeup, with the main connection now being the Smartbus from Broadmeadows station, which makes sense as it’s more frequent than the other routes. Non-Smartbus airport area routes such as 478 and 479 are re-focussed on connections from Sunbury and Airport West, for the benefit of local trips (such as workers) to the airport. The ridiculous 479’s one service per day on the weekend into the CBD has been removed. What a total waste of resources that was. Routes 216/219/220 get a slight cutback from every 15 minutes to every 20 on weekday evenings. This probably makes sense at the southern end, as demand is light, and resources are better used elsewhere — I understand the whole timetable has been re-written for the first time in decades to better reflect traffic conditions. Hopefully the slight reduction in frequency doesn’t mean crowding at the western end of the route. Apparently it will get more substantial changes next year, along with other long routes such as the orbital Smartbuses, which have also had just timetable adjustments this time around. 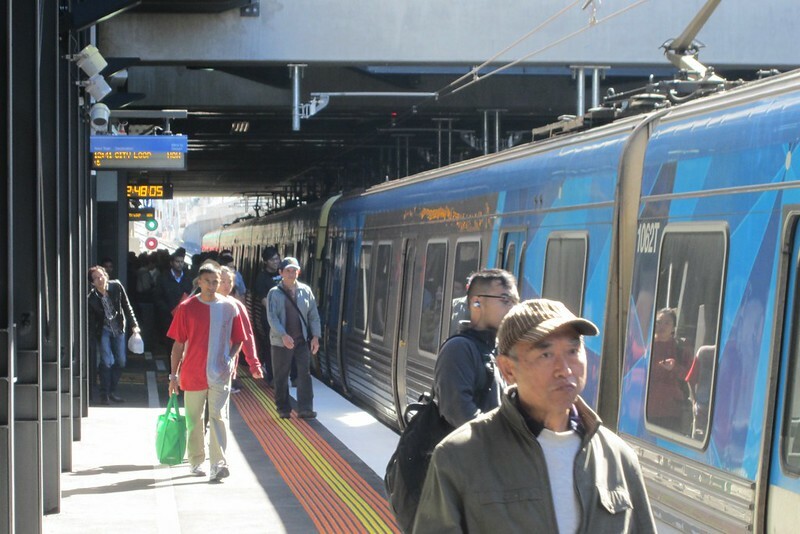 The Brimbank area gets an overhaul, with some good reform which has irritated some current users, but should result in a more usable network overall. While some are saying they are negatively affected, some locals I’ve spoken to say they welcome the more direct routes. The Port Melbourne area will also get revised, with simpler routes, and some routes such as 250/251 which formerly ran through the city to Port Melbourne, have been split to improve reliability. The 232 Altona to city bus over the Westgate Bridge will no longer stop in Port Melbourne — despite little difference in timetabled running time in peak, it’ll stick to the freeway. In the outer suburbs such as Cranbourne and Frankston, there are some extra services on some routes. Those in areas affected by some of the bigger changes should take a look at the Journey Planner, and check the alternative routes available. Despite the protests at the changes, the new routes actually make a lot of sense. In many cases I’ve seen, people might face a slightly longer journey on the bus, but gain higher frequencies, longer operating hours (eg full-time routes instead of peak only) and in one case I looked at, a shorter walk to the bus stop. In other cases I’ve looked at, a change to another bus or a train will now be required to get into the city, but the overall trip is faster. Transdev have also said they’re willing to help passengers on their routes with looking at their specific route changes. Overall it looks like a pretty good package. The continued rollout of RRL infrastructure as the project nears completion; some good upgrades to the Dandenong line; cleanup of the incredibly messy Frankston line timetable, and perhaps most significantly, widespread bus route reform to remove duplication and part-time routes, replaced by more frequent, fulltime routes — these sorts of changes are vital to untangle Melbourne’s bus spaghetti. Some areas miss out of course. I for one am really hoping a significant upgrade to western suburbs lines (Werribee/Altona/Williamstown, and Sunbury) when RRL is completed. But it’s good stuff. If they gave us a package this significant every year, the government would be kicking goals. I’d be interested in comments on other changes people have noticed… and how their trips are affected. Update Tuesday 15/7/2014: Some great comments being submitted – keep them coming. I wanted to particularly note that passengers on bus route 303 have been active in calling for their route not to get cut. While I have reservations about peak-only routes because it can be confusing for potential users, particularly where they largely duplicate other routes, some users have shown evidence that suggests the buses have more than the 20-24 people per service the stats say they have. The first was easy to find: it’s the 6:38am Frankston to City limited express. The other one was harder to find, because it is actually against the peak flow, and in fact after 9am: the 9:09am Flinders Street to Mordialloc. That’s not even filling a big service gap; it’s just a run from the city back into stabling. My recollection is the Coalition used to rightly criticise Labor for announcing extra trains that were against the peak direction, and not terribly useful to many people. Now they seem to be doing exactly the same thing. Next → Next post: My precious umbrella is gone. Frankston in the morning still a mess. Two express trains with 6 minutes between, then the following two trains are 11 minutes apart, a greater wait than the 10 minutes during the rest of the day. Excellent planning there. The 8:35 Chelt has now slipped to 8:40 presumably to ensure the gap to the next wasn’t larger. @Chris, yeah, while the Frankston line has to interact with the Dandenong and Newport lines, there are bound to be some oddities… hopefully they can smooth them out over time. Of course complete separation and through-routing to Newport (eg sacrificing the City Loop services) would cause a lot of passenger displacement, and delays as many more people changed trains at Richmond. Read through from start to finish and not a single mention of how V/Line Gippsland services will be adversely affected by this holy grail “turn up and go” service to Dandenong/20 minute service to Pakenham? No mention of appalling punctuality and how it’s going to further plummet with the necessity to be on time to Pakenham to 4 minutes, otherwise path will be lost and 25 minutes late into the city, as regularly happens now on weekends? Very interested to see what happens post 10 minute service on the Dandenong line. I plan my commute based on the Westall originating trains these days to ensure comfort at Oakleigh/Huntingdale. As a frequent user of the 216/219/220 I am concerned at any reduction, and I forecast this when the new mob took over and promised some ‘rationalisation’. However, all would be well if they are evenly spaced for the common part of the route, that is Queen Street to Hawksburn. It is too difficult to work out with the presently supplied information, but looking at the existing times, there are buses together at night, 2 minutes apart, and then quite long gaps at times. From my contacts, the route 219 and 222 are overcrouwded on the western section. Therefore, that portion needs to be split into two. Transdev plans are to split them anyway, with the Western portion terminating in the city, while the bayside portions would be diverted to run past Burnley to Victoria Gardens rather than go into the city. Am surprised that is not happening yet. From what I understand, some of the bus routes like #303, do not get any customers anyway, or may get one or two at most in the whole morning. Are at best an express route, where other routes would be just as good with route coverage is concerned. Route #401 was meant to be extended to Footscray as part of the RRL project, and am surprised that is not going to happen just yet too. RRL customers seeking the unviersity shall need to change twice, not just once. Re Malvern: Did they only put PIDS on platform #3 only and nothing on #1? That is silly of them if that is so. Why not do the whole station complex in one go? I hope the Ballarat timetables are wrong. It looks like there’s only 4 services back to Ballarat in the afternoon on weekdays. 12:08, 16:01, 18:25 and 19:26. It also has services listed that run from Southern Cross and terminate at Footscray. @Neglected East, perhaps the question is: why are V/Line trains missing their paths at Pakenham? @TranzitJim, the plans to split the routes from the old bus reviews a few years ago don’t necessarily still apply, but expect some changes on this next year. #303 does carry passengers. I’m led to believe it’s in the region of 15 per trip. Yes, at Malvern they only put PIDs on platforms 2 and 3. 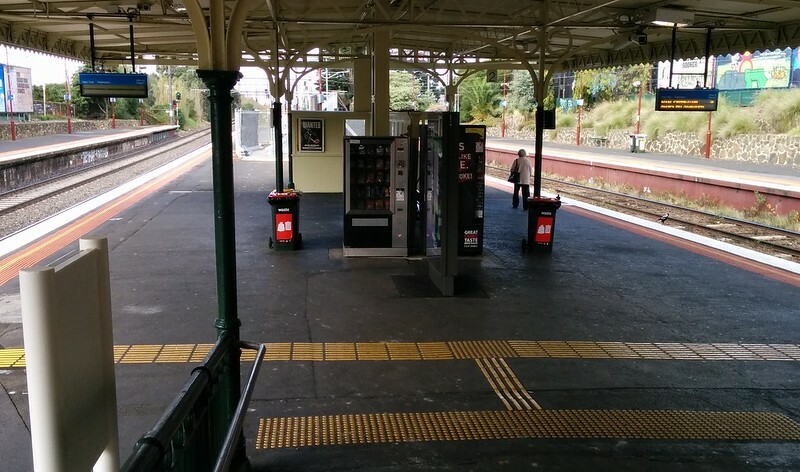 Same with the other stations that got them – two platforms only – not a big problem at Bentleigh, Ormond, Mckinnon etc. The cuts to 216/219/220 probably will result in crowding on western section. But it’s not only at night, but also the PM peak being cut too. That’s that bad side, but as you mention run times been rewritten, which on these run hasn’t been for many years, and even on a Sunday can get buses an hour late! So very good run times are finally being fixed. Daniel… from what I see the journey time has increased for Frankston line stopping all stations! eg. Frankston 5.57am will now leave 1 minute later at 5.58am arriving at Flinders Street at 7.04am instead of 6.58am… an increase of 5 minutes!! I presume the trains will once again sit at South Yarra station as happened previously when the journey times were increased by a minute or two (because they were ahead of schedule!). New times to assist Metro meeting their targets? @Jason, thanks, I didn’t spot that. I wonder if at least the times will better reflect actual conditions, vs the current unachievable times. Really what needs to happen is more on-road bus priority for these routes. @Gra, yeah you’re right. The train before it from Frankston at 5:47 is given 61 mins to Flinders St. The 5:58 will take 66 mins on the same stopping pattern. On V/Line Gippsland, the weekday times have increased… at present Pakenham to Flinders St in the middle of the day is about 51 mins… after July 27th, it seems to be typically about 56 mins, but up to 65 mins in one case (the 17:50 from Traralgon). @daniel, I think you’ll find these new times will help, maybe not perfect, but on time running should be better. Your right, these routes need on road priority , but even with that , new run times were need. As even on say a Sunday night you can be 30 mins late. Re, the PIDS only on #2 and #3 at Malvern? Is this only a step one, with works to be completed on the other platforms say in the next week or so, or are there no plans at all for PIDS on the other two platforms. The irony in my view is, ever since the mid 1980s when I was a regular through that area for school I have been of the view that, they should use only the middle island on all MATH stations, and keep the outer two tracks for express only. There are only two ways of doing that, one is to have inbound Dandenong group be All stations, while outbound be express, and the reverse for Frankston line trains. The only real way of doing that really is to grade separate tracks around Caulfield. In any case, we can celebrate three great milestones in rail evolution here in Melbourne. The RRL to Sunshine, 10 minutes to Dandenong, and the #112 split as its going to happen. I am speaking with someone from the inside somewhere, and southern portion of the 219/220 is being looked at closely. Why are V/lines missing their paths? Well, 4 minutes is pretty easy to lose across 90+kms to Traralgon, 150kms to Bairnsdale and around 70 – 180 mins respectively. 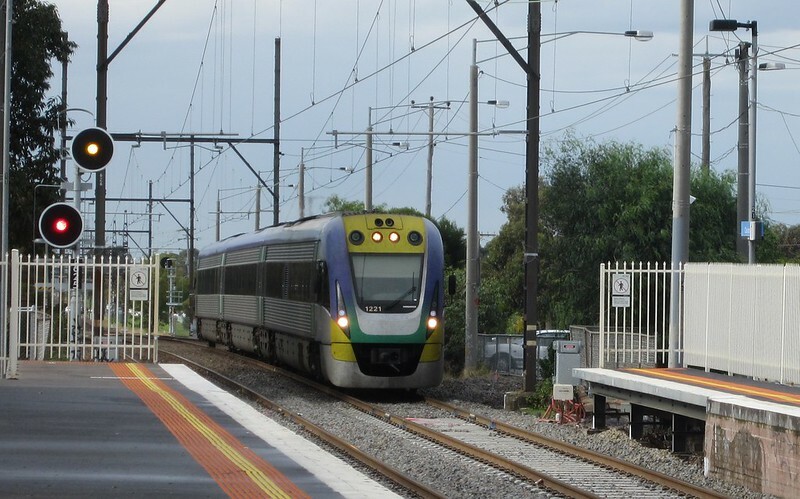 As I’m sure you’re aware, there are several single line sections on the Vline Traralgon line which is among the biggest problems for on time running and the services to Traralgon are often late, varying from a few minutes to 45. This is sometimes due to train faults, temporary speed restrictions, Signalling faults, late running within metro trains, human error, poor timetabling, loading of luggage, wheelchair passengers, unruly passengers etc etc. Obviously this impacts the return journeys that often suffer their own delays. I wonder why you ask this when I’m sure you already know the answers. Simply, 4 minutes is not enough of a buffer to enter the suburban network on such a poor punctuality line. I’m also yet to hear a single explanation of how High Capacity Signalling will assist the users of the Gippsland line. We are being sold furphys down here by a moronic govermnent that it will, when really it’s just a pathetic attempt to pull the wool over our eyes. Any idiot can see that without extra tracks we will just be following more trains closer together with HCS. I expect the punctuality on this line to get worse, unless V/Line employ whoever compiles the statistics for metros on time performance. Wow, changes to SmartBus next year? Any more you can say?! Is it perhaps 10 minute frequencies? I think you will find once the High capacity signal project is up and running, with the frequency in services that are planned to be running, Vline will terminate at pakenham. Its something i have heard quite frequently though its frowned upon talking about because of the political backlash that will entail. I totally agree trainz, I too have heard these rumours and that is exactly what PTV and metro will want to do. I just question why people like Mr Bowen and the PTUA don’t seem to care about the impacts that will have on an entire region when they say they encourage PT usage. Seems its a case of only caring about those living in the suburban boundary, and to hell with regional commuters. Clearly they’d rather give Pakenham a world class service and no service to regional commuters than give a substandard service to each until something can be done to improve both. It’s not a matter of not caring, it’s a matter of priorities. Nobody expects to drive from Gippsland into the city and not face congestion/slower speeds as you approach the city. The same applies to using the trains. That said, the government should be a lot clearer on their plans for quadruplication. What are the timelines? Can they verify that they’ll take V/Line as well as freight trains? Is proper provision being made in the new station designs? It was Metro’s suggestion to terminate V/Line trains at Pakenham. Despite what @Neglected East implies, this is something I have never agreed with. It would be deeply unpopular to do it (it’s not only really poor customer service, but it doesn’t make a huge amount of sense in terms of overall line capacity), but again, the government should be clear about their plans – as @trainz notes, unless those trains are fitted with in-cab signalling, they eventually won’t be able to run services on the line. But there’s no technical reason why they shouldn’t be fitted with them and continue to run into the city. If you want to help direct PTUA priorities, then join and get involved. The PTUA’s campaigns are a product of its active volunteers. The reason they have a strong and vocal Geelong branch is the efforts of the members in that area. @Jason, I don’t know the details yet, but certainly it appears long routes (including 216/219/220 and also Smartbuses) will be split into multiple routes, as they are difficult to run now reliably. @TranzitJim, the PIDs at Malvern went in a month or more ago. There appear to be no plans to put them on platforms 4 (not necessary) and 1 (very necessary). I also note they’ve appeared at Bentleigh, Mckinnon and Ormond, but not Glenhuntly or Patterson. I haven’t checked Moorabbin, but you’d hope they’re going in at all the busiest stations on the line (and eventually throughout the network) rather than just the stations in the marginal Bentleigh electorate, plus Malvern. Also please note: Comments here will be automatically approved if you quote an email address that has previously had an approved comment. The email address doesn’t get displayed. It doesn’t even need to be real. Just keep it polite. Comment rules. I must go over there and take a look, but is there actually some points at Vic Gardens were a tram can turn around? More importantly for the poor tram driver, and borrowing from Tour de France lingo, what happens if the driver needs a “nature break”? There’s not really anywhere in that spot he can leave his tram without possible delaying the 109. Unless his last stop isn’t Vic Gardens but is actually Kew Depot, just up the road? As has been pointed out elsewhere, it would be far better if the “new” route 12 went via Latrobe Street rather than Collins. Is it true that apart from the city circle, Latrobe Street isn’t going to have any other routes under this new timetable? There will be a 3rd track at Vic Gardens. You’re right about splitting 216/219/220 or that’s the idea. As we taking about bus priority before, the 2 places that most badly need them on these routes, is Dudley and Spencer St, where delays can be up to 30 minutes or so. Also as for the little difference in travel time, between 232 express and port Melbourne trips. That’s only on paper, in reality port Melbourne trips can lose lot time around Cook St and Todd Rd. Which is one reason all trips will now stay on the freeway instead. The other change to 232, to go via Collins St instead of Flinders St, will better service Docklands area, and will avoid the congestion in Flinders St, which can cause delays of up to 40 minutes. It’s not uncommon for 232 to be so late, that miss a whole around trip! 232, like 216/219/220 will also have new run times. The on time running the ex MBL is absolutely terrible , with mass late running. So while these new TT don’t totally fix, at least it’ll provide some relief, with new run times on 216/219/220/232 and the route changes to 232. So in addition to these, layover times under new roster will generally have more layover time, as opposed 2-4 mins that often get on these routes, which result in buses having no hope of ever regaining time. It’s good to see at least getting some improvements to these routes after years of neglect. Other than these new TT, other improvement these routes have had in last year, is no more summer holiday timetable and running Saturday TT on public holidays. Too many Jasons around here :-) I’ve modified Smartbus Jason to be “Jason (2)”! Victoria Gardens is having work done in the next couple of weeks to accommodate terminating route 12 trams. I did see a diagram for it somewhere, but can’t find it now. It includes shunting facilities and a toilet for drivers. The changes around Deer Park (namely the 400 and the new 420) are a big step forward, I was slightly concerned but everything seems to make a lot more sense generally speaking, and on a personal level has improved slightly. It doesn’t make any difference to my morning commute (the timings for the buses don’t work out so the train still makes more sense, despite being further away) but the changes will come in handy for more incidental trips into the city for shopping etc. Ah, that’s interesting, I wonder if that was planned all along, and if so why wasn’t it built back when they put in the superstops etc along that Skipping Girl Stretch? Despite the addition of a new service, the overall services are slower and fewer stations are served than before. This does not appear to be a good set of changes. @Michael, that spreadsheet is a first rate piece of analysis – well done! It’s possible the change might help spread demand around, and avoid over-crowding, but it’s not really clear. No doubt they’ll continue to trumpet improved punctuality as a result of padding the times out a little more. So, Victoria Gardens third track has yet to be built? I was under the impression that it was done months ago. Perhaps over Easter? And re: LaTrobe St, after the changes the City Circle and Route 30 will be the only routes (the latter which only runs work hours Monday-Friday). I do think they should’ve ran 12 via LaTrobe St. They obviously based the new routes off patronage, but you can’t expect LaTrobe St to have much when it has such an infrequent and irregular service at the moment. Since 109, 11 have been downgraded from every 7-8 to every 10 mins during the interpeak period, the 12 needs to remain on Collins St otherwise crowding would actually worsen significantly. If they’d retained the 8 min frequencies and improved the 48 to every 8 as well (harmonises with 11), then they may have been able to run 12 on Latrobe, but tram improvements aren’t particularly high on the agenda. It remains to be seen what will happen on Latrobe when free tram travel there comes into effect. With the snail pace roll out of the E class trams, it’s unlikely any full time route can be commissioned on Latrobe for a long while. I am not understanding the claim that Frankston services are ten minutes slower. What am I missing ? @enno, it’s a total of 10 minutes, added up over all AM peak inbound services. So, ten different train services, each of them one minute slower, is a ten-minute delay ? Hmm, ok, I can see what Michael was trying to say, then. Thanks for clarifying that. I’m still not sure if it is a useful measure, though. If I catch one of those trains, it will take one minute longer. Was on the 703 bus yesterday morning travelling from Clayton up to Syndal. The driver was chatting to me … they are absolutely dreading the Clayton crossing when the new rail timetable starts up. They estimate the gates will be dropping on average every 3-4 minutes. Route 79 has been cut not to “simplify” things, but to save a tram (and a Driver) at night – simple. As a result, people travelling between St Kilda and Chapel St will have to change trams and wait at Chapel & Carlisle Cnr. No, the new 78 timetable has not been designed around quick connections with the 3a/16 at Chapel & Carlisle Cnr. Malvern Station is a major hub. It is used by students of the many schools along and around Glenferrie Rd; there is a tram depot nearby, three tram routes close by, a major shopping precinct, and Metro’s own Authorised Officers are based there. It wouldn’t be so bad if services were timed to provide quick connections at Caulfield, but what it will be (inbound) is a 6 minute wait at Caulfield on weekdays, and a ridiculous 10 minute wait on weekends (yes, trains ex Frankston and Dandenong are timetabled to arrive Caulfield at the same time on weekends). I haven’t analysed outbound services. Really, Malvern is busy enough that all services should be stopping there I think – it wouldn’t add much running time. @James Adams, I’ve had a close look at the La Trobe St changes, since I often need to travel along this. Their [presumably low] patronage figures for La Trobe St are probably very incorrect since most people assume that the 30 and 24 are free like the 35 – hardly anyone touches on. Many of the peak hour trams are very, very full. People get left behind all the time. There is no change to the City Circle. Zero. It will continue to be chockers, especially in peak. Losing the 24 means losing 15 services a day (7 one way, 8 the other), or 75/week. The 30 has not been increased to compensate for the loss of the 24. If you look at the 30’s timetable, it looks like an extra loss of 75 services a week, since the 30’s timetable actually included the 24’s running times – so the net position would be down 150 services a week – but these can possibly be ignored. So, fewer services along La Trobe St. Yay! @Daniel, as couple weeks ago taking about new run times on ex MBL routes. Well first day of new TT and doing quite good, not all on time , but much better than before. I didn’t say any one service would suffer a 10 minute delay. I looked at the duration of all Frankston to City services over the 6-9am peak period: some will be faster, some will be slower. The ‘net change’ (sum of minutes faster minus sum of minutes slower) is 10 minutes slower. Not a big impact on most services, but one service will be 4 minutes slower, and the change is representative of a slower timetable overall. For a government claiming improvement in services, I don’t think a slower timetable really supports that claim.